Z216-M | Chrom Tech, Inc. 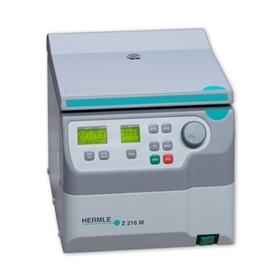 Compact, quiet, and powerful are just a few of the features found on the Z216 series microcentrifuges. Add to this, the versatility of ten available rotor options, and the result is the ideal microcentrifuge for the modern molecular biology laboratory. 11" x 15.3" x 11.4"